A perfect addition to your baking recipes! To make sour milk, first, add lemon juice to the milk and stir it for about 30 seconds. As soon as you see the milk and the lemon juice blend perfectly, let the milk rest for 5 minutes at room temperature. When the milk starts curdling, that's when you know your homemade sour milk is ready! 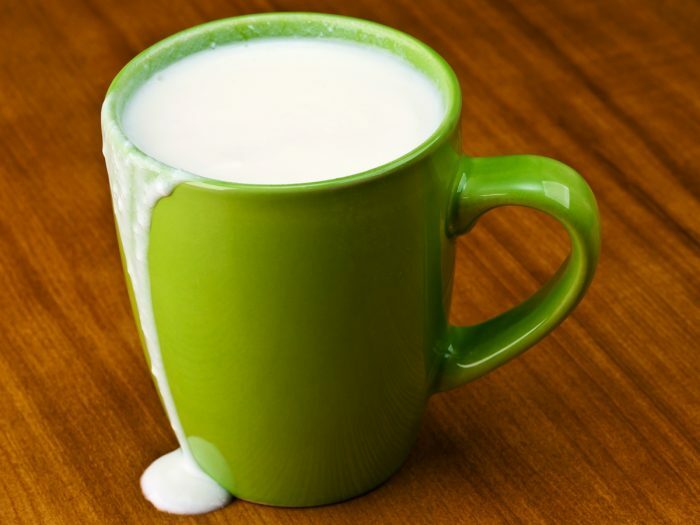 In an alternate way to make sour milk, add vinegar to the milk and stir it for 30 seconds. Once you see the milk and the vinegar blend perfectly, stop stirring and let the milk rest for 5 minutes at room temperature. You will notice the milk starts to thicken. Your sour milk is ready! Warming the milk will help it sour quickly. You can use different kinds of vinegar like apple cider vinegar for a flavored sour milk.